On this podcast we review and argue about Star Wars: The Last Jedi. It seems to be the cool thing to do lately. Spoilers ahead. Listen in! What did you think of Star Wars: The Last Jedi? Head over to our podcast Facebook page and let us know. This week the guys review the most divisive Star Wars film ever, The Last Jedi. Initially unsure about the film, they have found themselves defending this film to other Star Wars fans. With complex character development and twists on themes from the old Star Wars film Last Jedi has disappointed some fans. So listen to what we have to say then let us know if you agree with what we have to say, and let us know what Star Wars means to you. Enjoy! We talk about Star Wars: The Last Jedi, the latest in the epic space fantasy saga. We talk about the characters, the plot, the action and more. This week the guys are joined by Bobby Smith. Bobby is an independent comic book writer, blogger and podcaster. He co-founded Geeky Universe and now runs his own blog. He is also working on a brand new independent series Don’t Mess With Texas. So join the guys as they get to know Bobby, and then go support his Kickstarter campaign. Sit back and enjoy! This is it, Super Hero Speak reviews Star Wars The Force Awakens. An episode so big the guys had to bring in their new partner in crime Zack Howe to help with this one. The guys rate, review and discuss the biggest block buster of 2015. They discuss burning questions like, how does a janitor go toe to toe with a Knight of Ren? Is Rey a Mary Sue or is the internet filled with sexist bastards? Why do the bad guys keep building giant space lasers that get easily destroyed? This in and so much more in Star Wars Revenge of the Sanitation Technician. Be warned the SPOILERS are heavy in this one. Enjoy! On this podcast we review Star Wars: The Force Awakens. Yep, another Star Wars review. Spoilers ahead. Listen in! What did you think of Star Wars: The Force Awakens? Head over to our podcast Facebook page and let us know. 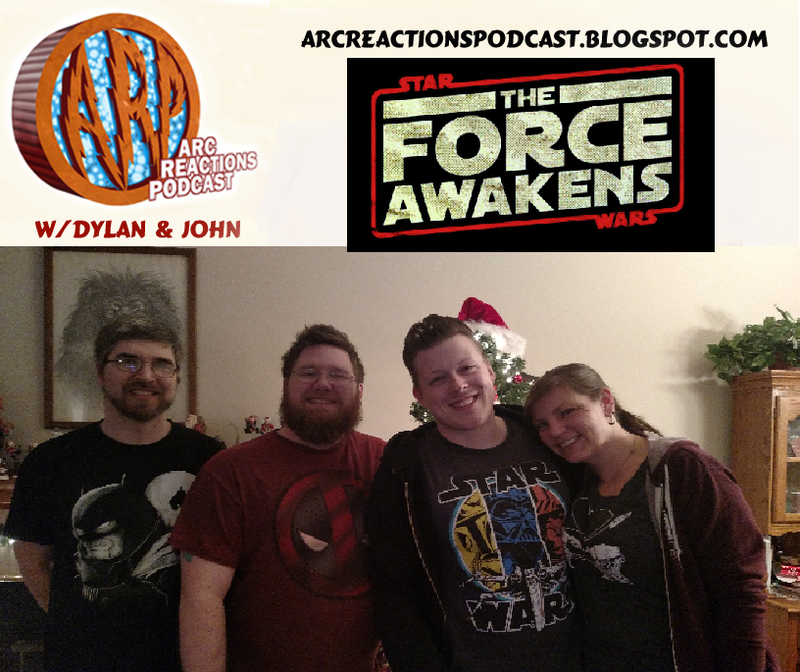 Travis from Creator’s Edge Press and his lovely wife Sarah join Dylan and John to discuss The Force Awakens. Will this highly anticipated movie live up to all the fan expectations? We examine what we enjoyed and where we felt the film fell flat for us. We did not do any talking points for this episode. Instead we went around the table and each gave one bad point and one good point for the film. Check out our Netflix’s Jessica Jones coverage also released today. Our next episode will be Flashpoint on January 3rd. By now you’ve seen the trailer and new poster for Star Wars: The Force Awakens. And by now you’ve seen hundreds of rumors, reaction videos, over analysis of the trailer and so on so what’s one more? It’s Star Wars how can you ever be sick of it? 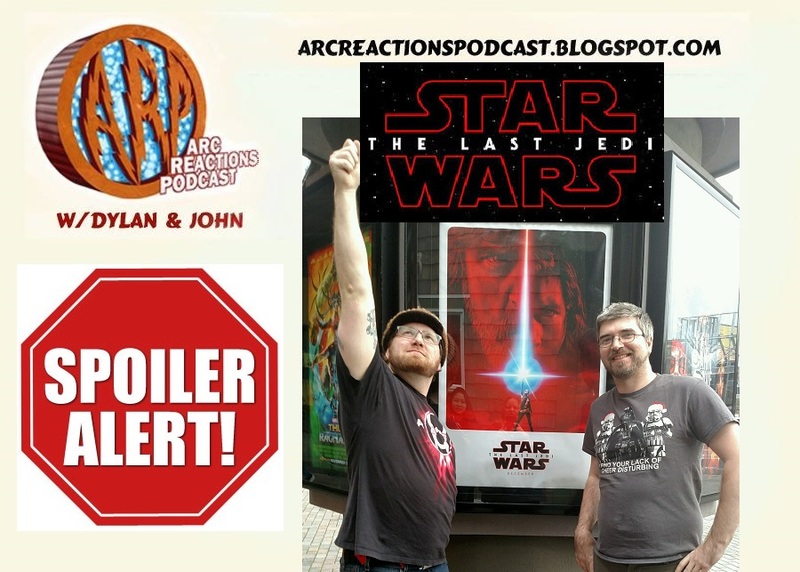 This week the guys break down their favorite parts of the trailer for The Force Awakens. They also address their feelings on some of the more popular rumors floating around. All the while John complains about missing the Supergirl premier. So sit back and enjoy A Force Awakens!